Do you want to start a blog in 2019? Awesome idea! so, how to get started? where is the starting point? When you are google it, there are so many ideas out there on the web and YouTube. Maybe these ideas can be different because there are so many blogging platforms out there. If you are a newbie to blogging, Google’s Blogger platform is the best way to get started. Suprise is, it’s FREE to use! Before few years, I started my way to a blog with blogger.com. I learned many more things about blogging myself and that platform is very easy to used with your own Google Account. Sounds good? A blog (Weblog) is a type of website presenting contents. Blogs are usually maintained by one person and blogs are being updated once a day, once a week, once a month or it can depend on the person. A blog niche is a specific topic you will decide to write about on your blog. It can help you to build an awesome audience around your blog. A blog niche is a specific topic you will decide to write about on your blog. It can help you to build an audience around your blog. Writing about your niche helps you to continuously write great contents to your blog. First, Go to blogger.com and click on “Create Your Blog” button. After you signed up, you will redirect to the blog creator page. Enter your blog name (Title) and URL there! (Blogger gives you blogspot.com subdomain for FREE. Choose your theme and click “Create Blog!”. Ones you clicked, you’ll redirect to the blogger dashboard. Yes! That’s it! you’re done with creating process. You can start your posting by clicking on the orange button on the top of left corner named as “New Post“. After you clicked you’ll redirect to the writing section. It’s very simple to use. just like writing an MS Word document. Add a catchy title and write your post with your own content. Once you have done with your writing process. you can publish or draft (save) your post. (You can see that options on the top of the right corner). When you are publishing your post on your blog you can organize your post with these few options. I recommend using these options to build your blog clear. You can find these option on the left side under “Post Settings“. Labels: You can use labels to categorize your posts clearly. Schedule: If you want to schedule your post by special date or time use this option. Location: You can add your posting location to the post. Options: Use to handle reader comments, compose mode, line breaks. How to Get More Views and Traffic? Unfortunately, it’s not easy to do. You have to write more attractive posts to get more traffic. When people like your posts they always with your blog. Firstly, new need to write awesome content and be unique. That’s the main thing to get more traffic(visitors) to your blog. Using Social Media: You can share your content after you post with your social accounts or pages. Use Pinterest, Facebook, Twitter etc. Allowing people to follow your blog: You can allow people to follow your blog with their Google account. Go to the Layout section in your blogger dashboard and click on “Add Gadget“. After it will show you a Gadget list. Choose “Followers” Gadget and click Save. How to Make Money From a Blog? Google Adsense: If you are heard about Google Adsense. That is one of the best ways to earn from your blog. Adsense will display ads through your blog and they give you a commission for it. But you need more traffic to your blog before apply Adsense. Read more information here about Adsense provided by Google. Sponsored Content: You can write posts describing or featuring a special product or service. Very first you need more traffic. Because no one sponsored you when your blog has low traffic. Affiliate marketing: most of the blog authors using affiliate marketing to gain passive income. Like Amazon Affiliates, you can promote their products in your blog and they will give you a commission for sales. Learn more about Amazon Affiliates here. Also, you can think about the ClickBank affiliate network. 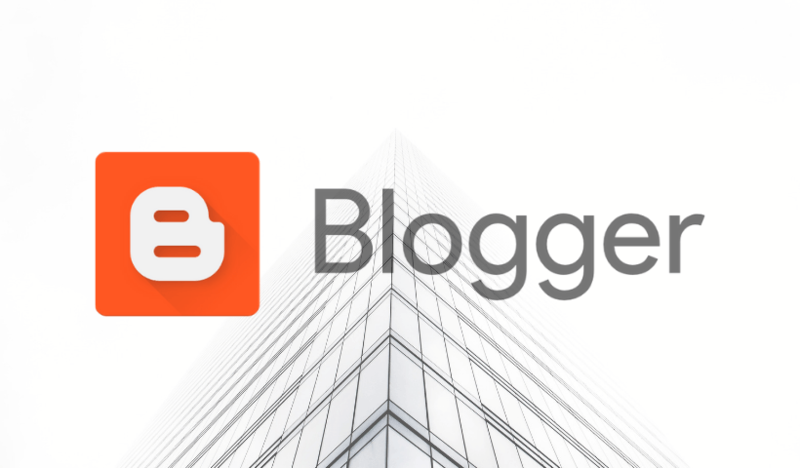 You can use blogger platform for totally FREE. If you want to add a top-level domain, yes you can add “yourname.com” domain for blogger. Mainly, Think about the quality of content in your blog, not about money. When your contents become awesome, you can earn more with your blog without limitations! Hi there friends, its great post regarding tutoringand completely explained, keep it up all the time. I have read so many articles or reviews concerning the blogger lovers except this article is in fact a fastidious piece of writing, keep it up. You are a good writer minosh, and with this post you can help other aspiring bloggers who wants to start their own blog for free! Good Job! always i used to read smaller articles or reviews which as well clear their motive, and that is also happening with this paragraph which I am reading now.